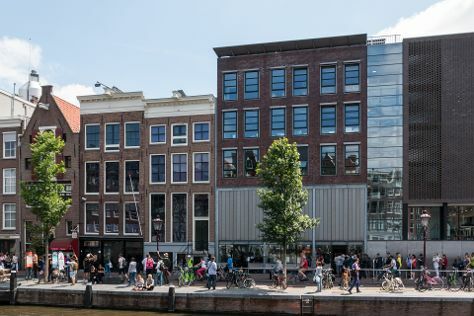 On the 8th (Thu), admire the masterpieces at Rijksmuseum, explore the world behind art at Van Gogh Museum, and then steep yourself in history at Anne Frank House. On the next day, explore the galleries of Rembrandt House Museum, then indulge your thirst for a good beer at Heineken Experience, then tour the pleasant surroundings at Vondelpark, and finally wander the streets of Red Light District. To find reviews, more things to do, ratings, and tourist information, use the Amsterdam sightseeing planner. Tampa, USA to Amsterdam is an approximately 14-hour flight. The time zone changes from Eastern Standard Time (EST) to Central European Time (CET), which is usually a 6 hour difference. Plan for much colder temperatures traveling from Tampa in February, with highs in Amsterdam at 43°F and lows at 33°F. Finish your sightseeing early on the 10th (Sat) so you can take a train to Brussels. Start off your visit on the 10th (Sat): engage your brain at Atomium, then examine the collection at Musical Instruments Museum, then contemplate the long history of Grand Place, and finally see the interesting displays at Manneken Pis. Get ready for a full day of sightseeing on the 11th (Sun): contemplate the long history of Les Galeries Royales Saint-Hubert, then examine the collection at Royal Museums of Fine Arts of Belgium, then admire the landmark architecture of Justice Palace (Palais de Justice), and finally take in the spiritual surroundings of St. Michael and St. Gudula Cathedral (Cathedrale St-Michel et Ste-Gudule). To find traveler tips, maps, reviews, and tourist information, read Brussels vacation trip planner. You can take a train from Amsterdam to Brussels in 2 hours. Alternatively, you can drive; or fly. Expect a daytime high around 40°F in February, and nighttime lows around 31°F. Wrap up your sightseeing on the 12th (Mon) to allow time to travel to Prague. Start off your visit on the 12th (Mon): take in the views from Charles Bridge, don't miss a visit to Prague Astronomical Clock, then appreciate the extensive heritage of Prague Castle, and finally contemplate in the serene atmosphere at Spanish Synagogue. Get ready for a full day of sightseeing on the 13th (Tue): make a trip to Old Town Square, take a stroll through Stare Miasto, then admire the striking features of St. Vitus Cathedral, and finally appreciate the history behind Vyšehrad. For maps, reviews, and other tourist information, use the Prague trip planner. You can fly from Brussels to Prague in 4.5 hours. Other options are to drive; or do a combination of train and bus. In February, daily temperatures in Prague can reach 42°F, while at night they dip to 30°F. Wrap up your sightseeing on the 14th (Wed) to allow time to travel to Berlin. Kick off your visit on the 14th (Wed): examine the collection at Pergamonmuseum, deepen your understanding at Memorial to the Murdered Jews of Europe, then admire the landmark architecture of Reichstag Building, and finally pause for some photo ops at Brandenburg Gate. On the 15th (Thu), you'll have a packed day of sightseeing: get engrossed in the history at Mauermuseum - Museum Haus am Checkpoint Charlie, examine the collection at Topography of Terror, and then take in the local highlights with Walking tours. For photos, where to stay, ratings, and tourist information, read our Berlin custom trip planner. Traveling by flight from Prague to Berlin takes 3 hours. Alternatively, you can drive; or take a train. Finish your sightseeing early on the 16th (Fri) so you can travel to Vienna. Kick off your visit on the 16th (Fri): take in the spiritual surroundings of Augustinerkirche, see the interesting displays at MuseumsQuartier, and then explore the world behind art at Kunsthistorisches Museum. 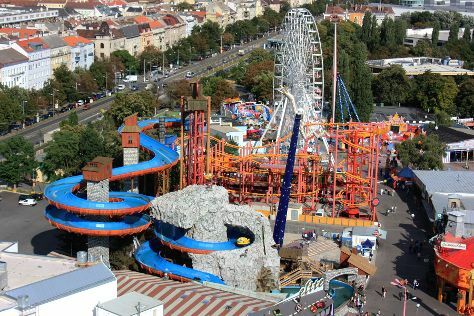 Here are some ideas for day two: laugh and play at Prater. To see maps, traveler tips, ratings, and tourist information, you can read our Vienna vacation trip planner. You can fly from Berlin to Vienna in 4.5 hours. Other options are to drive; or take a bus. February in Vienna sees daily highs of 41°F and lows of 30°F at night. Wrap up your sightseeing by early afternoon on the 18th (Sun) to allow time for travel to Vienna. Explore Vienna further: tour the pleasant surroundings at Schönbrunn Palace, admire the landmark architecture of Rathaus, meet the residents at Schönbrunn Zoo, and appreciate the extensive heritage of Museum Judenplatz. To see reviews, other places to visit, traveler tips, and more tourist information, go to the Vienna travel planner. Cap off your sightseeing on the 22nd (Thu) early enough to go by car to Budapest. Kick off your visit on the 22nd (Thu): appreciate the history behind Shoes on the Danube Bank, then contemplate in the serene atmosphere at St. Stephen's Basilica (Szent Istvan Bazilika), then ponder the world of politics at Residence Parliament, and finally take in the views from Chain Bridge (Szechenyi lanchid). Here are some ideas for day two: pause for some photo ops at Hősök tere, examine the collection at House of Terror, then test the waters at a local thermal spa, and finally admire the striking features of Dohány Street Synagogue. For ratings, traveler tips, and more tourist information, read Budapest itinerary builder. You can drive from Vienna to Budapest in 2.5 hours. Alternatively, you can take a train; or fly. In February, daily temperatures in Budapest can reach 42°F, while at night they dip to 28°F. Wrap up your sightseeing by early afternoon on the 24th (Sat) to allow time for travel back home.